Let's face it, decorating for a child is often a tricky and somewhat challenging task. Not only do their tastes and preferences change almost daily, their age means they quickly grow out of certain styles and decorations. On top of that, planning, designing and updating a child's room is both time consuming and expensive. So how does one create a stylish and inviting space without breaking the bank? 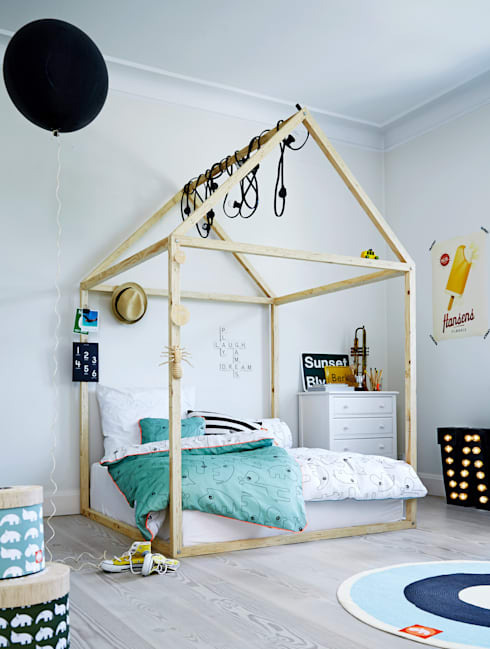 Luckily homify is here to assist with 11 budget ways to decorate your kid's bedroom! With a small amount of money, and a bit of creative thinking, you can transform a dull and uninteresting space into a gorgeous and unique room. Enjoy! A simple solution to old furniture is to repaint it! Head to your local hardware shop and purchase some different coloured paint. 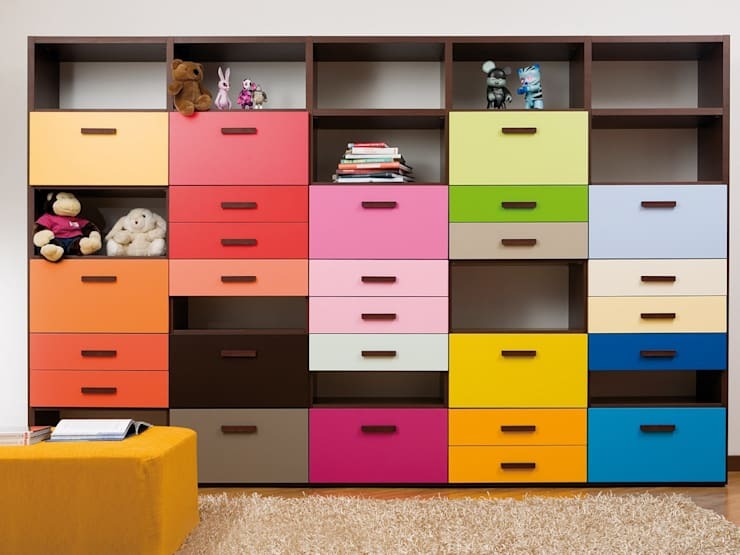 This can be used to paint each drawer a different colour, adding verve and style to the child's room. It might not turn out as delightfully as this multicoloured masterpiece from MOBIMIO, but it will make a big difference. Second-hand items from thrift stores are an excellent and budget-friendly option to create a fabulous and eclectic room for your child. Think outside the box and pick interesting and unique pieces, to evoke fun and chic style. 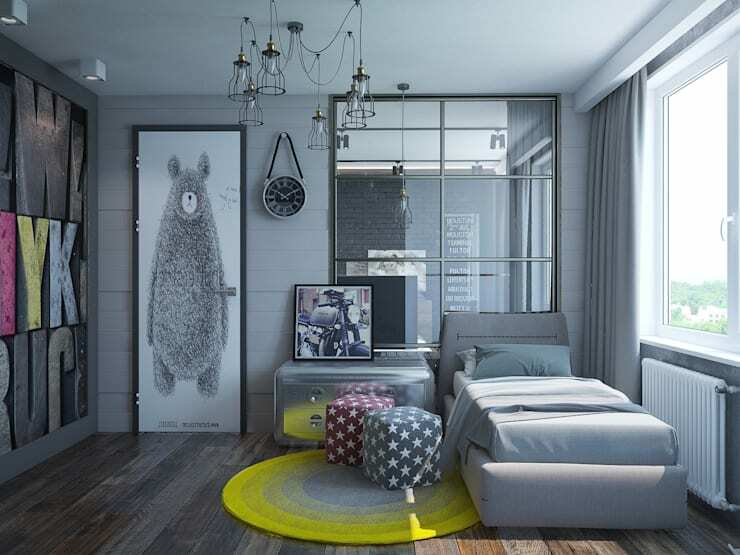 This dreamy room from Pavel Alekseev is a perfect example of eclectic and characterful children's decor, and should give you some great ideas. 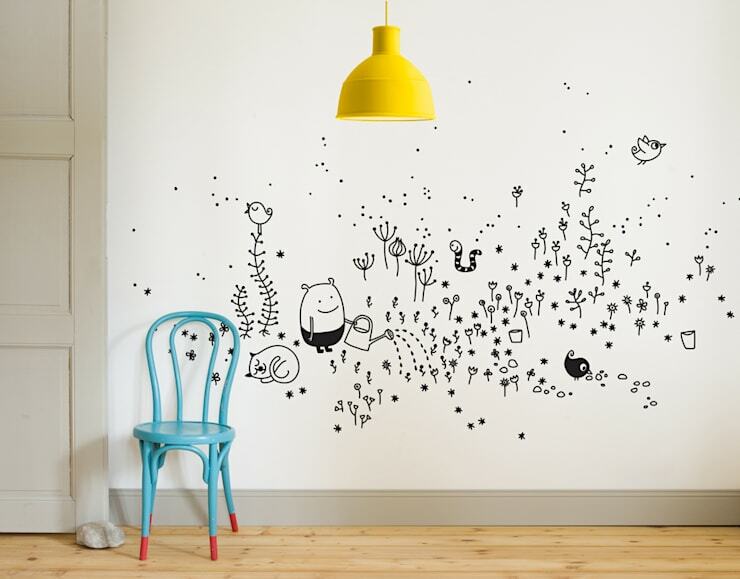 Wall tattoos are an easy and inexpensive alternative to wallpaper. They are easy to stick to the surface of your wall, and come in a range of interesting and unique designs. Use this gorgeous professional example from Chispum as inspiration! If you want to brighten a child's room consider framing some of their artwork and hanging it in a salon style fashion. This will help them feel proud of their creations while enhancing the space with colour and charm. Lighting is very important within any room of the house, but particularly children's rooms. Here the lighting is employed as a soft string of lantern style fittings. These are full of character and look superb! If you need help with your lighting design, chat to a professional via the homify website. New paint goes a long way in transforming a room from dull to delightful. Here the colour chosen is a bright purple hue. This works wonderfully and really enhances the ambience of the space. Chalkboard paint is one of the easiest and most exciting ways to give a room a spruce up. Take your cues from this room, where the chalkboard has been framed in the shape of a house from timber. If you're up for a little DIY action, consider saving yourself some money and building a fun bed frame for your child. Use this fantastic professional example from De Kleine Generatie for some inspiration and start with a classic design. It could even be used to hang toys and curtains from, adding an element of excitement to the room. Old furniture can often look boring and tedious within a child's room. If you want to give the space a new lease on life, grab that paintbrush and get busy with a fun and satisfying DIY project. This will save you money, and the results will be mind-blowing! Take after this lovely creation from Bumoon and go bold with primary colours. 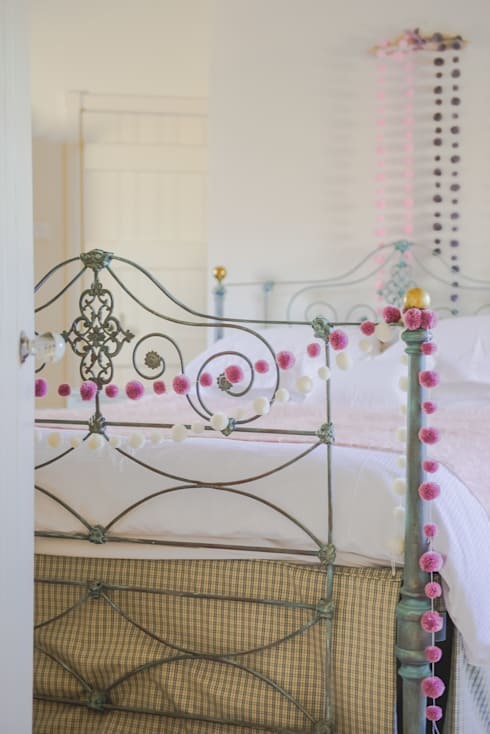 Pompoms add charm, character and charisma to a room, and better yet they are easy and inexpensive to make! Choose your wool, tie them together, and hang them from the bed, the wall, and any other area of the room that needs a little colour. 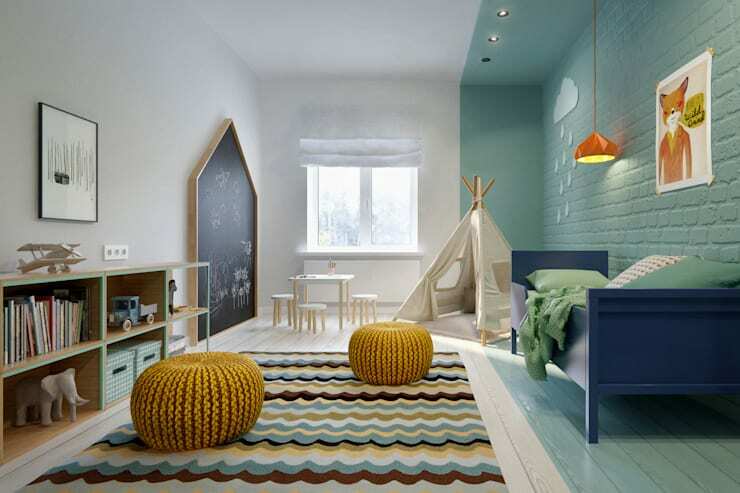 Would you like to see some more stylish child's room inspiration and ideas? 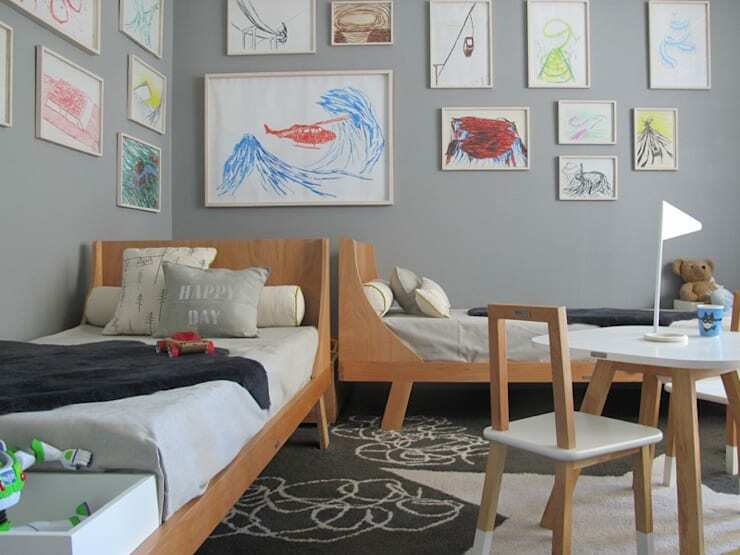 Keep reading by checking out another Ideabook: The ultimate little boy’s bedroom. Did any of these designs impress you? 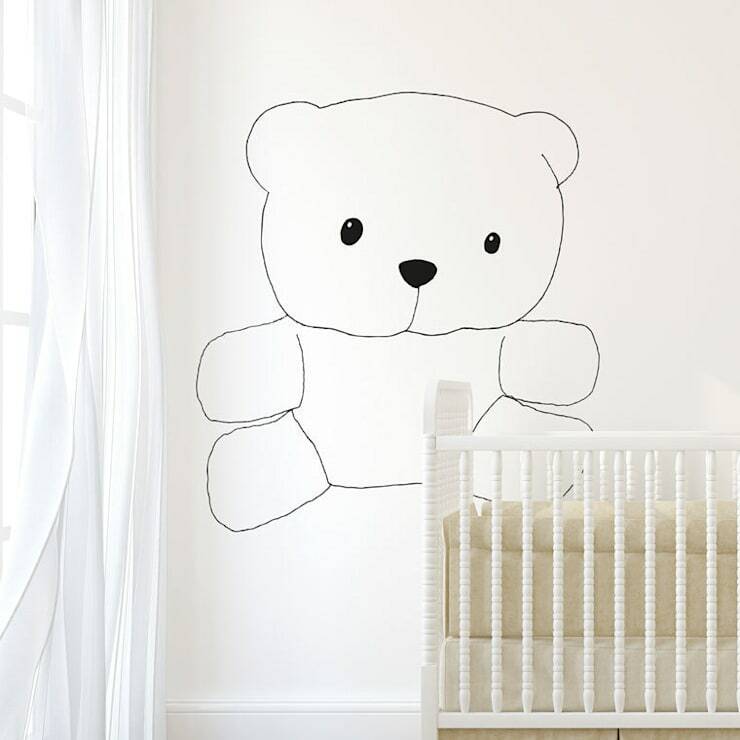 How have you decorated your children's rooms? We'd love to hear your thoughts in the comments below!